Choose from the terraces and turrets of our boutique Mansion Suite retreats. 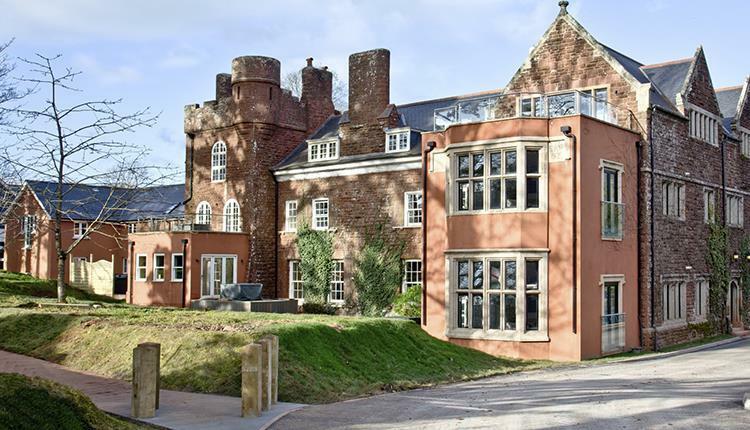 Full of the original character of this wonderful old building but now furnished with a cosy contemporary feel, and many of course have that breath-taking view down to the Torbay coastline. 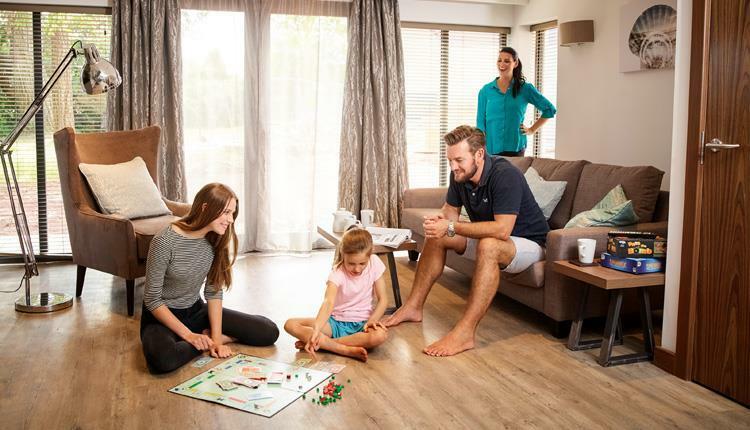 Our stunning new Deluxe Apartments offer modern and welcoming décor as well as offering open plan living, dining and kitchen spaces. 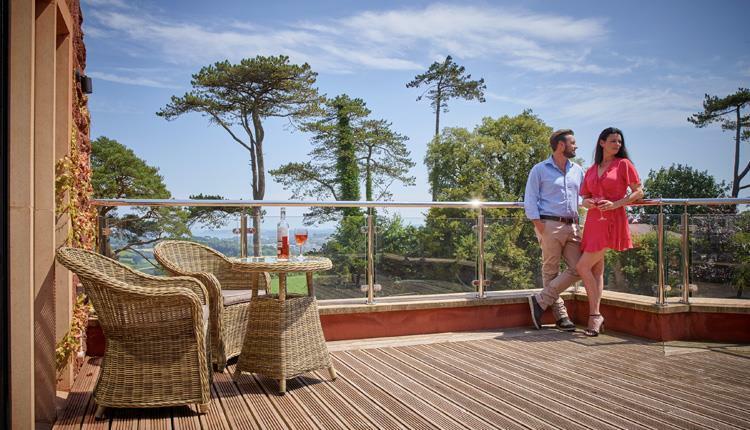 Or relax in our chic boutique Deluxe Lodges, most of which have their own deliciously deep hot tub right on your patio, as well as underfloor heating, all rooms being en-suite and lovely living and kitchen spaces to help you truly relax. But we’re hoping to give you a whole lot more than first-class hideaways with enchanting views. We’ve taken care of the real details that make your stay beyond extra special. Local attractions, movie channels and games will save the day when kids – both big and small - want to Be Wild. While our Be Chilled Breakfast-in-a-Bag gives you more time under the duvet. After a crazy day at the beach and in need of a lazy evening, our BE Tempted restaurant serves sumptuous takeaways to finish of the day perfectly. Of course, all of our lovely lodges are ideal for families, but our BE Baby Lodges cater to the nth degree. So just in case you forget that all-important something, we’ve got it covered with everything for safety, including stairgates and bed guards to a good night’s sleep with storybooks and blackout blinds, so everyone can be happily off to the land of nod. We think we’ve thought of everything to make your pet feel as at home as you do. From cosy dog beds and spare leads to, to stairgates and doggy towels. So if you like to share your getaways with your best furry friend, this is your spot. And it’s a simple, one-off charge for our furry friends – you pay just £25 per pet per stay. We’re very aware that everyone has different requirements and of course we want to be able to welcome everyone. For our guests needing access all on one level, some of our beautiful lodge homes have all the usual Beyond Escapes special touches as well as providing spaces that take into account any mobility requirements, such as walk-in showers and wider doorways. After a crazy day at the beach and in need of a lazy evening, our BE Tempted Restaurant serves sumptuous takeaways to finish of the day perfectly. If you do feel the need to work off those holiday treats, then the BE You Gym is right on your doorstep. Or for a more relaxing spot of indulgent chill time, head to our BE You Spa and pamper yourself with a luxury treatment or just relax in the sauna, steam room or our outdoor vitality pool. Whatever your choice, at Beyond Escapes, you can just be the you, you love to be. 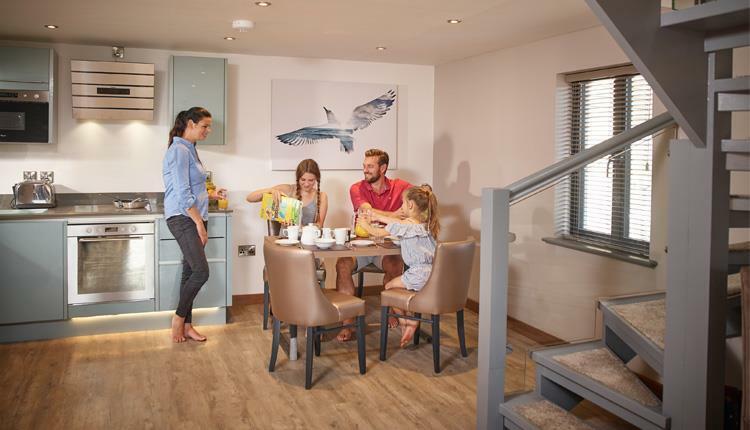 Or relax in our chic boutique Deluxe Lodges, most of which have their own deliciously deep hot tubright on your patio, as well as underfloor heating, all rooms being en-suite and lovely living and kitchen spaces to help you truly relax. But we’re hoping to give you a whole lot more than first class hideaways with enchanting views. We’ve taken care of the real details that make your stay beyond extra special. Of course, all of our lovely lodges are ideal for families, but our BE Baby Lodges cater to the nth degree. So just in case you forget that all important something, we’ve got it covered with everything for safety, including stairgates and bed guards to a good night’s sleep with story books and blackout blinds, so everyone can be happily off to the land of nod. We think we’ve thought of everything to make your pet feel as at home as you do. From cosy dog beds and spare leads to, to stairgates and doggy towels. So if you like to share your getaways with your best furry friend, this is your spot. And it’s a simple, one off charge for our furry friends – you pay just £25 per pet per stay.